We commemorated the anniversary of William Shakespeare’s death by having a special day in his memory. Everyone (including the teachers even Mr Hardiman) came into school as a character from one of his plays. We even had a couple of William Shakepeare himself! It was a great day, but the learning didn’t stop there. Each class chose one of his plays to read together, and then wrote a piece of work related to it. Here are a few examples of the wonderful writing and some pictures from the day. Year 3 had a brilliant, but very hard working Monday! Today was a very exciting day where we spent the whole day learning about William Shakespeare, who wrote plays. 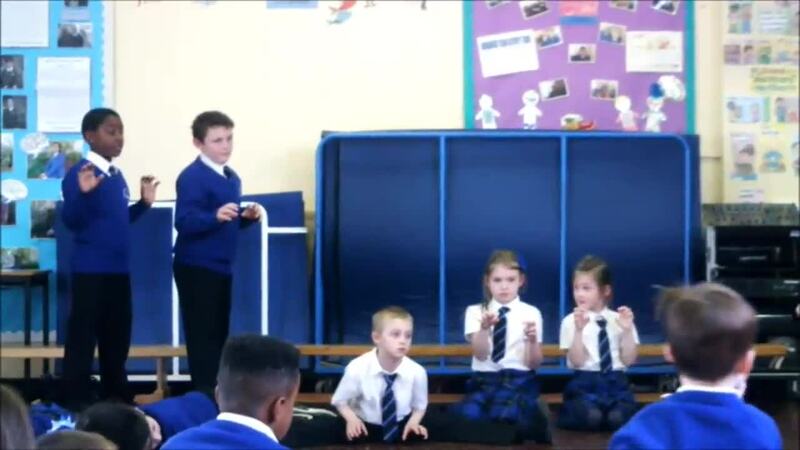 We learnt about a play called Macbeth and spent the day practising, ready to perform it the whole school! We soon discovered that Shakespeare’s plays were written and performed in old English, which was quite difficult to get the hang of. Macbeth is about witches, kings and queens and is full of twists and turns. Enjoy looking at the pictures of them acting as witches.